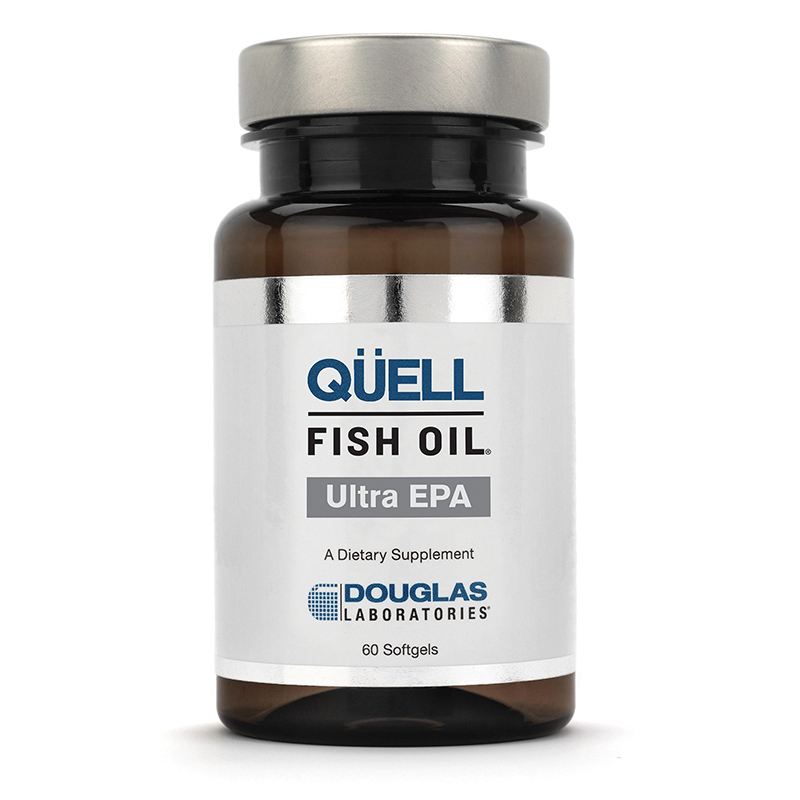 QÜELL Fish Oil® is Supercritical CO2 extracted oils in triglyceride form, manufactured in Germany exclusively for Douglas Laboratories®. QÜELL Fish Oil is unique among other fish oils for its supercritical extraction, purity, bioavailability and concentrations. 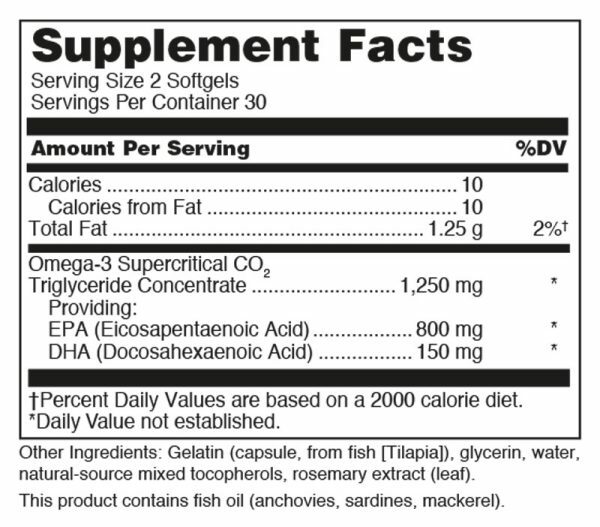 It is offered in fish gelatin softgels, and the taste and smell of fish is significantly reduced due to the supercritical extraction. 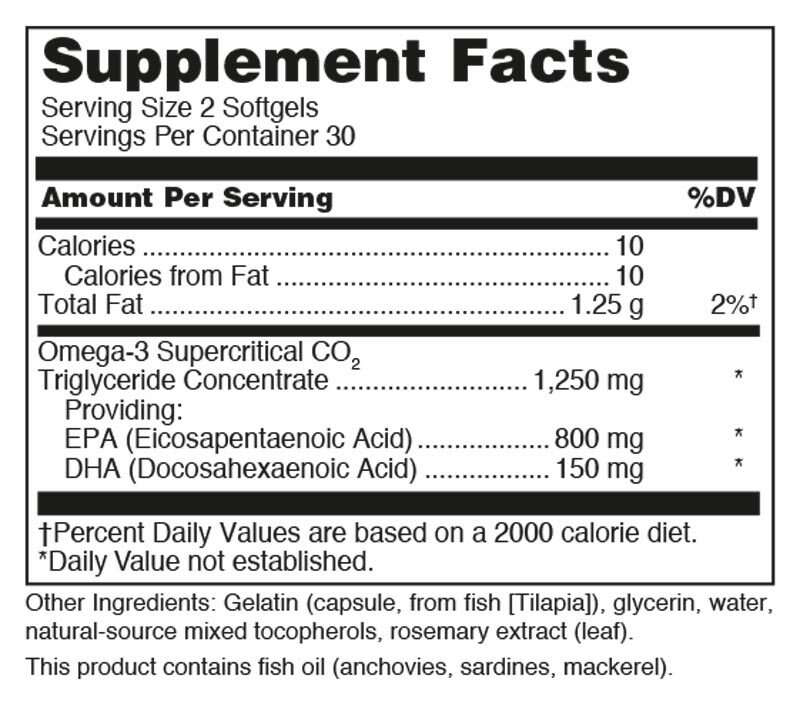 Ultra EPA contains a higher ratio of EPA to DHA that is indicated for cardiovascular, joint or general health. The benefits of omega – 3 fatty acids continue to emerge and numerous health organizations around the world recommend adequate daily intake of EPA and DHA. Data continues to accumulate that supports EPA and DHA in cardiovascular health as well as many other areas, including neurological health, vision health, and joint health. † The omega – 3 fatty acid EPA is the direct precursor for the prostaglandins, which are involved in a wide range of physiological functions . † DHA plays a major role in the structural integrity of neuronal membranes. DHA is essential for neurological and visual development and is vital throughout pregnancy to support fetal brain growth and formation of t he retina and visual cortex. † As the most abundant fatty acid in the brain, adequate amounts of DHA are needed throughout infancy and adulthood for ongoing optimal function.